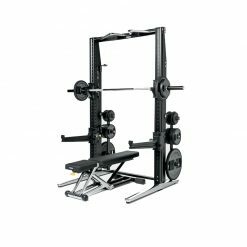 The Power Personal is created with sophisticated materials and excellent craftsmanship, Power Personal consists of two elements: Bench Personal and Rack Personal. 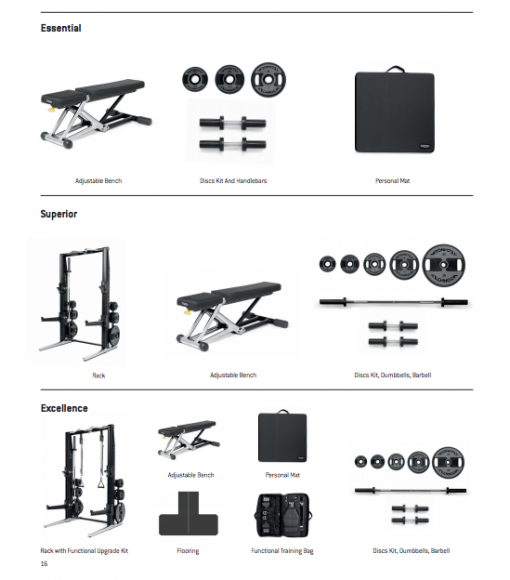 The solution that offers over 300 exercises for strength training. There is a choice of three equipment and accessory packages. 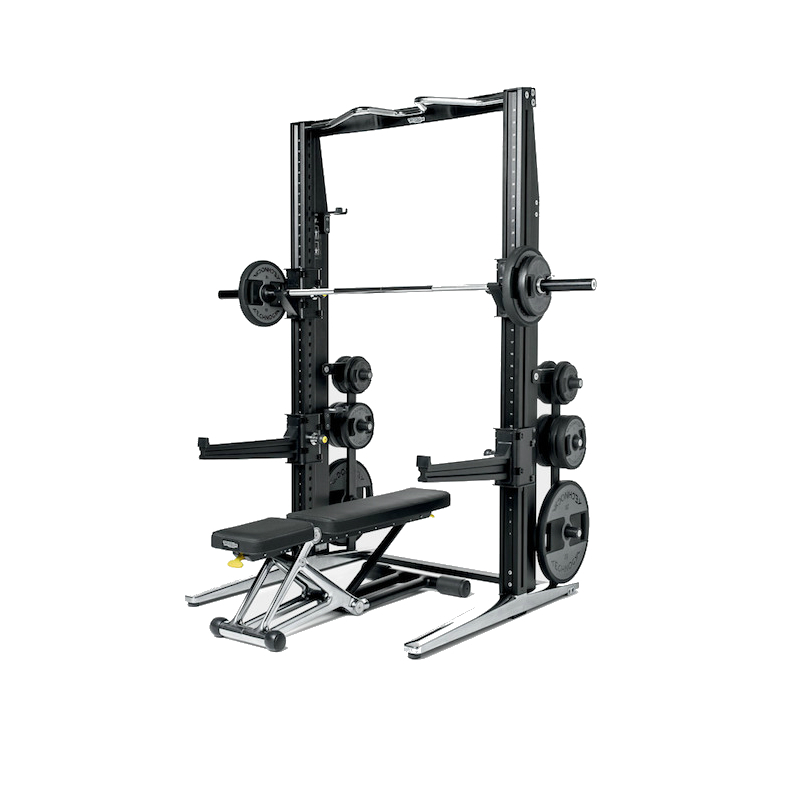 The Power Personal also comes in two colour options: Chrome and Dark, displayed in the photo gallery. 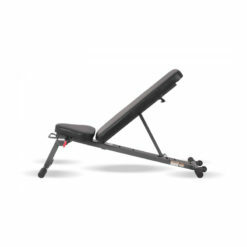 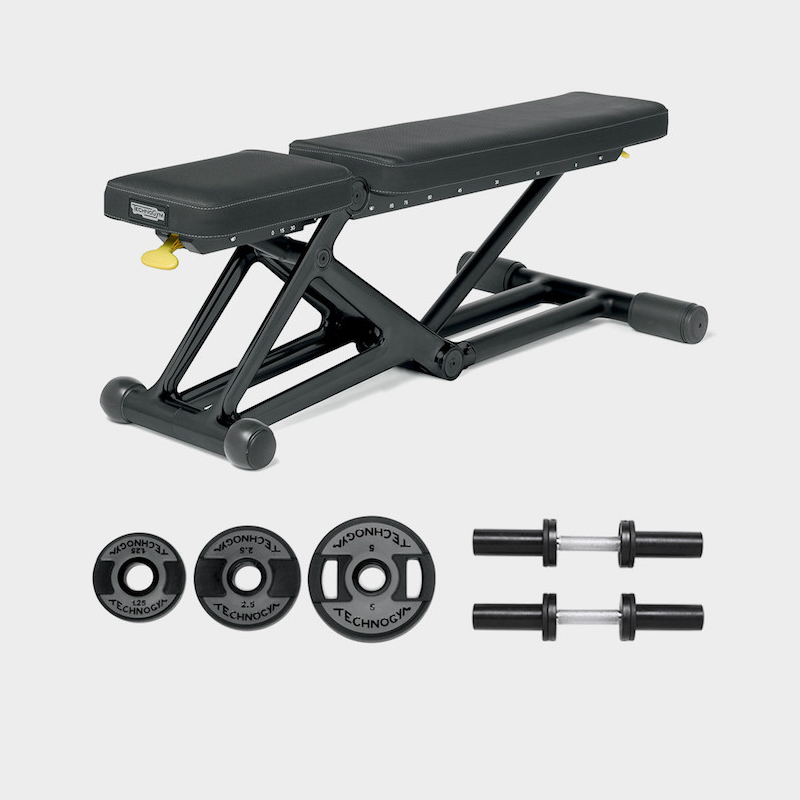 Technogym Power Personal particularly suitable for abs, shoulder and arm muscles. 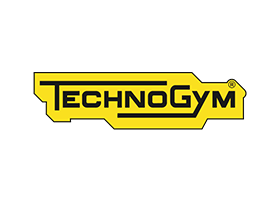 In general, increasing muscle mass contributes to the control of body fat, increasing joint mobility and, most importantly, improving the performance of daily activities.To improve your workout Power Personal packages offer digital content through the Technogym app and its vast library of exercises and training programs. Technogym’s thirty years of development experience and the design by Antonio Citterio make Power Personal a unique product combining style and functionality together with safety. Strength training has to be safe in order to be truly effective. For this reason Power Personal features the Smart Lock system: thanks to it the barbell holder cannot be unlocked accidentally. 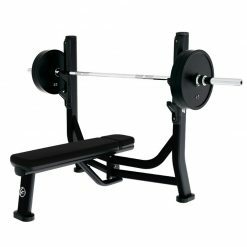 In addition the grip on the bar is always steady thanks to its particular chrome-plated surface. 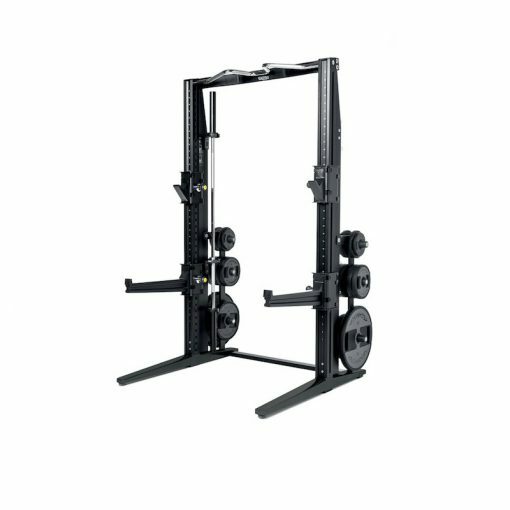 For the purposes of safety and comfort it is very important that the training area is always neat: Rack Personal features a special integrated storage for barbell, dumbbells and discs so that you can train in an area free from obstacles and thus safer. 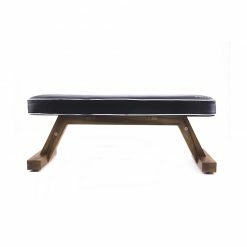 Attention to detail – Featuring soft touch upholstery and Body Print technology, the bench ensures maximum comfort. 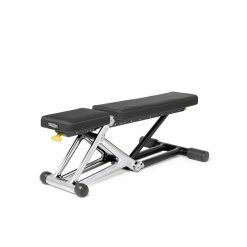 Essential design and stylish finishing, even of the smallest details, on the rack and bench further enhance the workout experience. 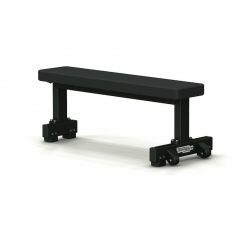 Advanced security – Safety is the number one priority. 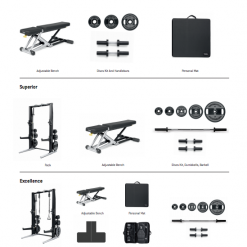 Thanks to the Smart Lock system, the barbell holder cannot be unlocked accidentally.